Obituary for Leonard Merriweather | Marcus D. Brown Funeral Home, Inc.
Leonard Merriweather departed this life on Monday, October 8, 2018 at John and Callie Rainey Hospice House of the Upstate in Anderson, SC. Leonard was born on August 20, 1934. He was the son of the John Henry Merriweather and Lillian Pickens Merriweather. He was first married to the late Mary Elizabeth Blanding Merriweather. Through this union six children were born: Dianne Merriweather, Larry (Ann) Merriweather, Joyce Ann (Joe Billy) Armstrong, Lillian (David) Burns, Johnny (Laura) Merriweather, and Lisa Cowan. In 2002, he married Ella M. Dennis. He became the father to Renee (Reggie) Davis, Charles Dennis, Michael (Melissa) Dennis, Chris (Teresa) Dennis, and Cindy Dennis. Leonard retired as a supervisor from Cable East in the early 2000's. He enjoyed working outside, working on cars, and spending time with his family. Leonard was a faithful member at Evergreen Baptist Church. He served as a Deacon until his health declined. Those who knew him loved him and he was loved by many. Along with his wife and children, he also leaves to cherish his memory, one sister, Betty Ruth Merriweather; twenty-five grandchildren; twenty-nine great grandchildren; and a host of nephews, nieces, other relatives, and close friends. In addition to his first wife, he was also preceded in death by one sister, Mary Ann Hill and one brother, Leroy Merriweather. 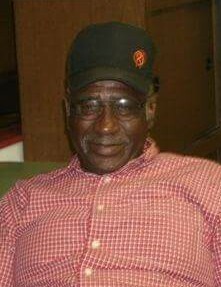 The funeral service will be held at 1:00 p.m. on Saturday, October 13, 2018 at Evergreen Baptist Church. The interment will follow in the church cemetery. The family is at the home, 105 Duvall Way (Oak Place Apartments) and at 642 Woodvale Road both located in Anderson, SC.